Even if you've sampled all 31 flavors at Baskin-Robbins, there are probably a few things you don’t know about the franchise. 1. BASKIN AND ROBBINS WERE IN-LAWS. Irv Robbins grew up working in his dad’s ice cream shop, The Olympic Store. After he got out of the military in 1945, he opened a store of his own—Snowbird Ice Cream store in Glendale, California. When his brother-in-law Burt Baskin got out of the military shortly thereafter, he also decided to try his hand in the ice cream biz, and opened Burton's Ice Cream in Pasadena. They had eight stores between them just eight years later, and decided to combine forces into a single chain. 2. THEY FLIPPED A COIN TO SEE WHOSE NAME WOULD COME FIRST. Despite the Burton's Ice Cream and Snowbird Ice Cream merger, the franchise didn't become Baskin-Robbins until 1953. The brothers-in-law flipped a coin to see whose name would come first in the company. It just as easily could have been Robbins-Baskin. 3. THERE ARE WAY MORE THAN 31 FLAVORS. It may be famous for its "31 Flavors," which is intended to represent a flavor for every day of the month, but the company has actually featured more than 1000 flavors over the years. Their top sellers, however, remain pretty basic: vanilla, chocolate, mint chocolate chip, pralines and cream, and chocolate chip. The company claims Irv and Irma Robbins invented the now-classic flavor. They had just returned from a New Orleans vacation and were snacking on some souvenir pralines when a light bulb went off. They mixed the nuts in with vanilla ice cream, then added a drizzle of caramel. The flavor was so good that they put it in stores, and it became one of their all-time best-selling flavors. 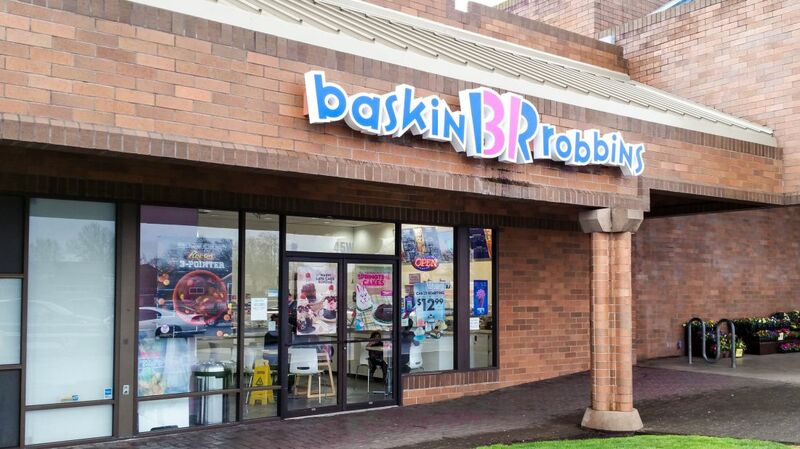 They even ran out at some stores, prompting ice cream-addicted Americans to send petitions to the Baskin-Robbins headquarters. In 1985, the company sued Häagen-Dazs for adding pralines and cream to their lineup. 5. ROBBINS CAME UP WITH A BEATLE-THEMED FLAVOR ON THE SPOT. Just before the Beatles came to the U.S. for their first big tour, a Washington Post reporter called Robbins to ask what special promotion he had cooked up for the occasion. "Nothing," was the real answer, but Robbins quickly improvised, telling the reporter that "Beatle Nut" was on the way. The company scrambled to get the flavor created, made, and delivered in five days. 6. THAT'S NOT THE ONLY SPECIAL-EVENT FLAVOR. Other special-occasion flavors include Baseball Nut, invented when the Dodgers moved to L.A.; 0031 Secret Bonded during the James Bond craze; and Lunar Cheesecake for the 1969 moon landing. For America's bicentennial in 1976, the company produced Valley Forge Fudge for President Ford to enjoy. 7. NOT ALL FLAVORS MAKE IT TO CONSUMERS. Among the flavors that were tested but never mass-produced: Ketchup, Grape Britain, and Lox and Bagels. 8. IRV ROBBINS WAS REALLY INTO ICE CREAM. Not only did he have an ice cream cone-shaped swimming pool, he also named his boat "32nd Flavor." And it was easy to spot Robbins driving around L.A.—his vanity plates read "31BR." He said people would occasionally spot the plates and stop him to ask for ice cream. 9. ROBBINS ALSO LIKED EATING ICE CREAM. He liked to "douse" his morning bowl of cereal with banana ice cream and went through a quart every few days. The Robbins house in Rancho Mirage, California, came equipped with a six-flavor ice cream dispenser. 10. SOMETIMES IN-STORE PROMOTIONS AREN'T ALL THEY'RE "QUACKED" UP TO BE. Robbins was particularly fond of a refreshing "Cold Duck" ice cream flavor, which tasted similar to cold duck sparkling wine. It had to be scrapped, however, when Japanese stores promoted it by hanging dead ducks from the ceiling. "We almost collapsed," Robbins said. 11. LOTS OF CELEBRITIES HAVE BEEN EMPLOYED BY BASKIN-ROBBINS. Plenty of people scooped ice cream at BR before they went on to bigger and better things. The illustrious lineup has included Barack Obama, Julia Roberts, Taryn Manning, and Eric Dane. Obama has quite a history with Baskin-Robbins—he and Michelle experienced both their first date and their first kiss at a store in Chicago (which has since been commemorated with a historical marker-esque plaque). 12. HOWARD HUGHES WAS BRIEFLY OBSESSED WITH THE BANANA NUT FLAVOR. Howard Hughes, as we know now, was practically the poster child for OCD. So it's not terribly surprising to learn that when he developed a liking for a certain Baskin-Robbins ice cream flavor, he really developed a liking for it. When the billionaire found out Baskin-Robbins had discontinued his favorite flavor, banana nut, he ordered 100 gallons. The ice cream had to be stored down in the kitchens of the Desert Inn (the hotel where he was living)—and it was a real hassle when Hughes decided he preferred French Vanilla just a few months later. "Somewhere at the D.I., they still might have old gallons of unopened banana nut," ex-Desert Inn president Burton Cohen said in 2000. 13. BURT BASKIN DIED OF A HEART ATTACK IN 1967. You've probably noticed that all of these stories center around Robbins, not Baskin. 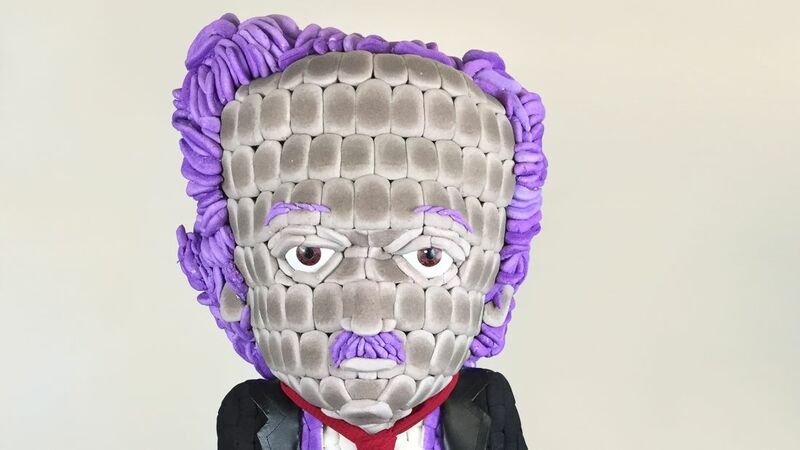 That's because Baskin passed away at the age of 54, just six months after selling the company to United Fruit Co. for $12 million. 14. IRV'S SON JOHN WALKED AWAY FROM THE BASKIN-ROBBINS EMPIRE. Not only did Irv's son refuse to be groomed for the position of Baskin-Robbins heir, he actively lobbies against the dairy industry. "My father told me he believed that I was very intelligent, very sincere, and very crazy," John Robbins has said. Once, when his father sought out medical help for health problems like diabetes and heart disease later in his life, his doctors unwittingly handed him a copy of Diet for a New America—a book on healthy eating written by John.